Looking for the perfect gift this holiday season? The Gift Shop at Black Creek Pioneer Village offers a variety of handcrafted gifts, accessories, books, sweets and more. 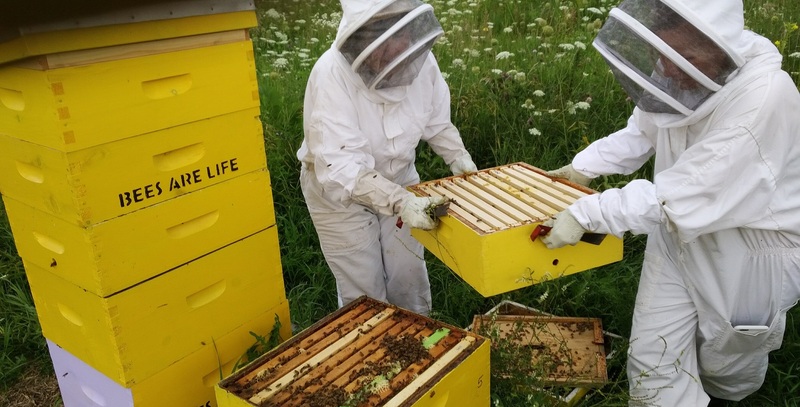 We’re proud to support local artisans and businesses like Bees Are Life. You would not bee-lieve this! Bees Are Life company provides 100% Ontario honey to eat, or in the form of body care and soap. Their mission is to educate consumers about the need for bees and how vital they are for humans to survive. By supporting Bees are Life, you are supporting local Beekeepers and providing for bees to prosper and keep fruit, vegetables and flowers living. With such a wide variety of products both in-store and online, every purchase helps! Bees are Life is hoping to become international and by starting in Toronto, you get a chance at helping to launch this company worldwide, imagine the possi-bee-lities!! Drop by our Gift Shop to pick up some honey sticks, soap, beeswax candles or even honey harvested from bees living right here at Black Creek Pioneer Village! For more one-of-a-kind gift ideas check out our Holiday Gift Guide.